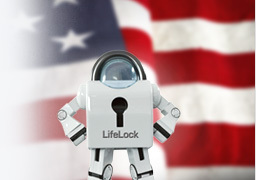 Protect your identity now with LifeLock membership! Get a 60 Day Money Back Guarantee* + 10% off! Your identity stands for your honor. It consists of your accounts, work history, money and government records. To identity thieves? It’s profit. Identity thieves want your personal information. And once they get it, they could steal your money, ruin your credit or commit crimes in your name. Special offer for NRA members: Enroll now for a 60 Day Money Back Guarantee* plus 10% off LifeLock membership. *If youre not completely satisfied within your 60-day risk-free period, just call 1-800-LifeLock to receive a full refund of your purchase. Offer is for new LifeLock members only. † Network does not cover all transactions and scope may vary. LifeLock, LifeLock Ultimate and Relentlessly Protecting Your Identity are trademarks or registered trademarks of LifeLock, Inc.
© Copyright 2013 LifeLock, Inc. All Rights Reserved.